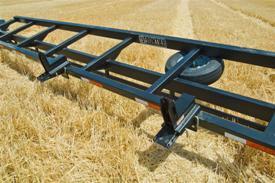 Frontier™ header transports all come with state-of-the-art torsion, flex rear suspension for a much smoother ride. 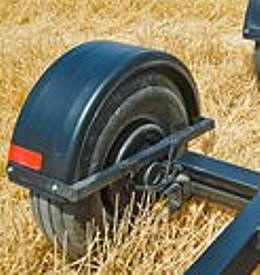 This gives a less bumpy and jarring ride and keeps the heads from bouncing around. 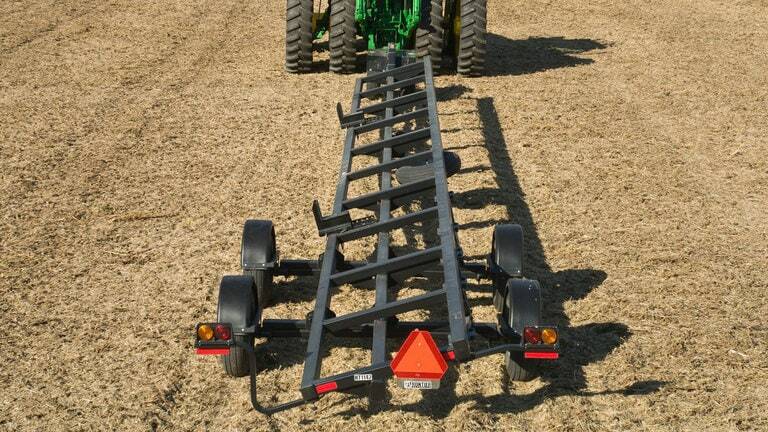 Standard adjustable sliding brackets on the HT11 and HT12 Series Header Transports allow the carrying of most platform and corn heads on the same transport. 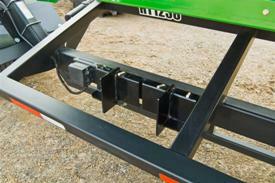 Optional draper head support brackets allow the transport to also carry John Deere draper heads.